Gourmets throughout Europe and the US have been mellowing coffee with chicory for generations. Chicory blended with coffee actually produces a smoother, richer, more enjoyable cup of coffee, adding body, aroma, color and mellowness. Chicory offsets what many refer to as "the bitter taste of coffee". 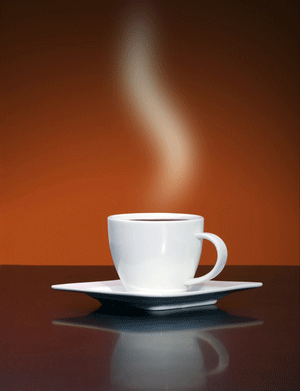 Some consumers enjoy adding milk with the chicory-coffee. Fresh roasted chicory is rich in inulin, a soluble fiber that enhances digestion and promotes regularity by increasing the quantity of beneficial digestive flora in the intestines and colon. 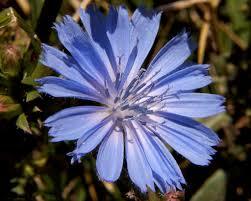 Since ancient times chicory has been used for liver disorders, and promoting health of the urinary system and kidneys. Medical research has shown it can reduce the heart rate, thus it can help counteract the stimulating effect of caffeine when blended with coffee. Roasted chicory does not contain caffeine or acid. Add roasted chicory to your coffee for a smoother, economical cup of coffee! Measure 1/3 to 1/2 chicory quantity to blend with coffee according to personal taste preference and brew. Chicory is a highly effective and natural prebiotic that improves the balance of bacteria in your dog's digestive system. Chicory is harvested for its root, then is washed, dried and ground before being added to dog food. It is a completely natural ingredient and does not have anything added to it or extracted from it. Chicory is a creative, versatile ingredient which adds flavor to other drinks. The chicory root is a common ingredient in herbal tea blends and, as an extract, (made by steeping ground roast chicory in boiling water, then straining), it can be used to add a dark rich color to soups, meats, gravies and dark breads. Recipes included with your order! Call or email for prices on larger quantities or for shipping outside the Continental U.S.
Now Selling Roasted Chicory Flour! Made from 100% Chicory root. Grown and processed in Nebraska, USA. You will be able to select your exact quantity at checkout.